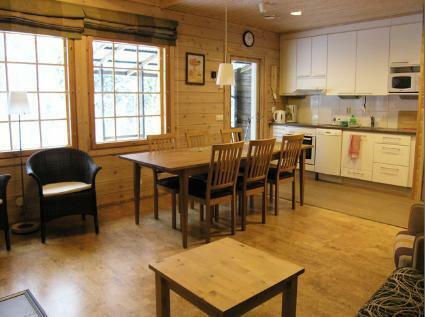 Nice row house apartment (2007) with quiet location in Vuokatti, close to the ski and hiking trails. Living area 85 m², including loft (15 m²). 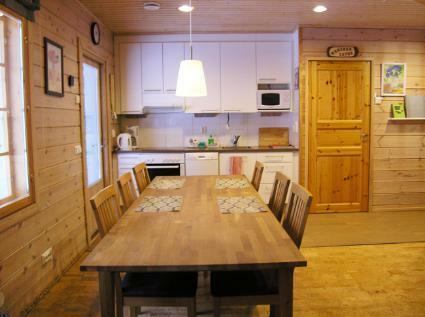 Kitchen/livingroom with dinning table for 6-8 persons. 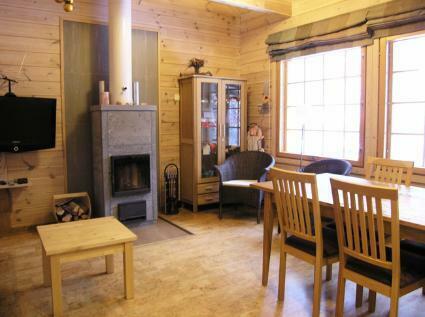 Two bedrooms, 1st with twin bed (get separate if needed), 2nd with 120 cm bed for 1-2 persons. 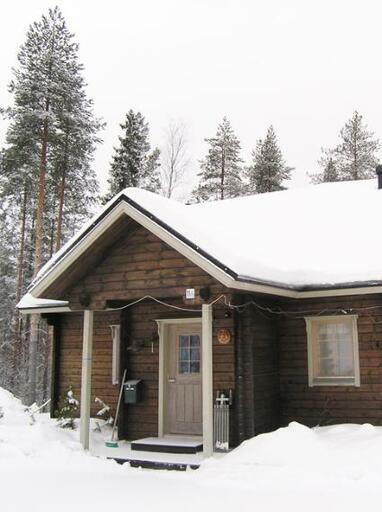 Sauna (electric), shower/wc. Loft with bed for 4 persons + wc. Terrace. Recommend for 6 persons only. High chair and a baby bathtub. Shared barbecue hut. Kajaani 35 km, Sotkamo 9 km, Vuokatti skicenter 3.2 km, Holiday Club Katinkulta Spa / Golf 5.8 km. 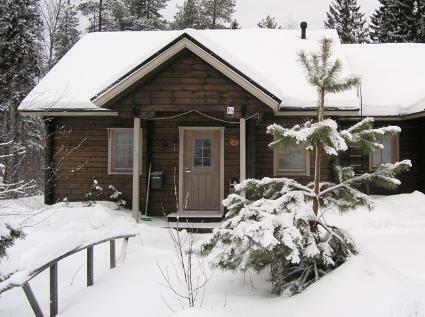 Vuokatti walkingroutes, skitrails distance about 100 m.
Holiday apartmet check in at 16 on arrival day, and check out at 12 departure day, also in all case in weekend bookings. Pets are allowed at extra fee. Note: price not includes bed linen or final cleaning, these services are booked at extra charge.